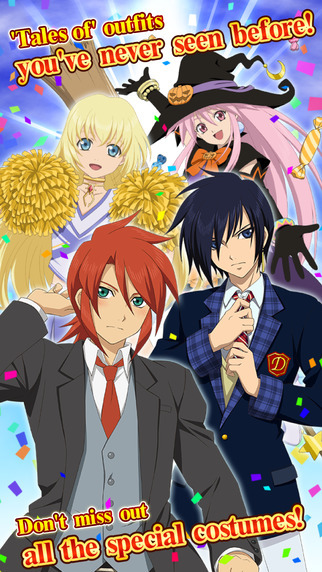 Tales of Link is a free to play fantasy RPG developed by NamcoBandai Games for iOS and Android. 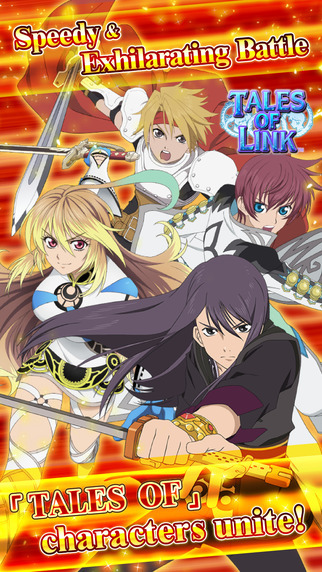 Featuring all of your favorite "Tales of" characters, Tales of Link puts players in control of their own party of heroes on a mission to save the world. 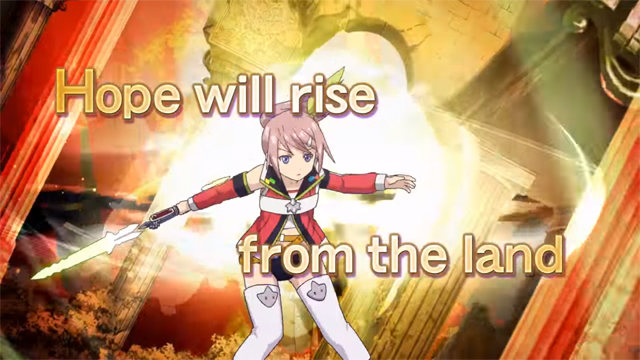 Now that the Seal of the Holy Shrine has been broken and the Seed of Ruin has been unleashed, demons are beginning to lay waste to any part of the world that they can get their hands on. 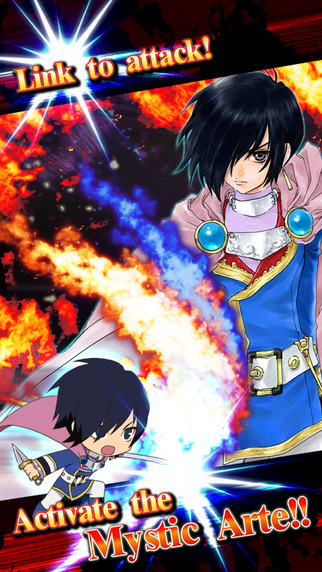 Through exhilarating battles won with amazing combo skills you might just be able to bring peace back to the world. Vast Party Combinations: From the 9 different heroes you have to choose from you can create a team from over 360,000 different combinations! 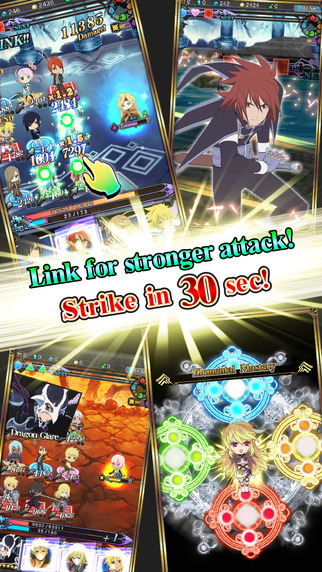 Touch-Link Battles: Using the game's intuitive touch-link battle system you can seamlessly string together your heroes' attacks and defeat your foes. 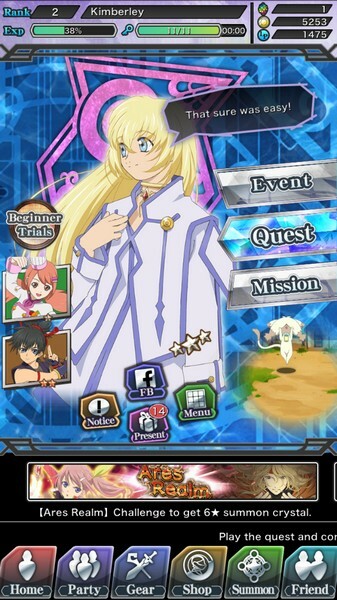 Unique Skills: All of the heroes have their own unique skill that sets them apart from the rest. Use them wisely to cleanse the world of any vile demons you might cross. 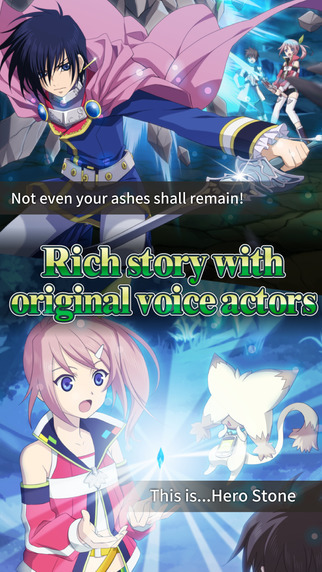 Tales of Link combines the iconic characters from the plethora of Tales of games into a new tactical mobile game.